Who loves game nights? I know we love having family game nights but friend game nights are just as fun! 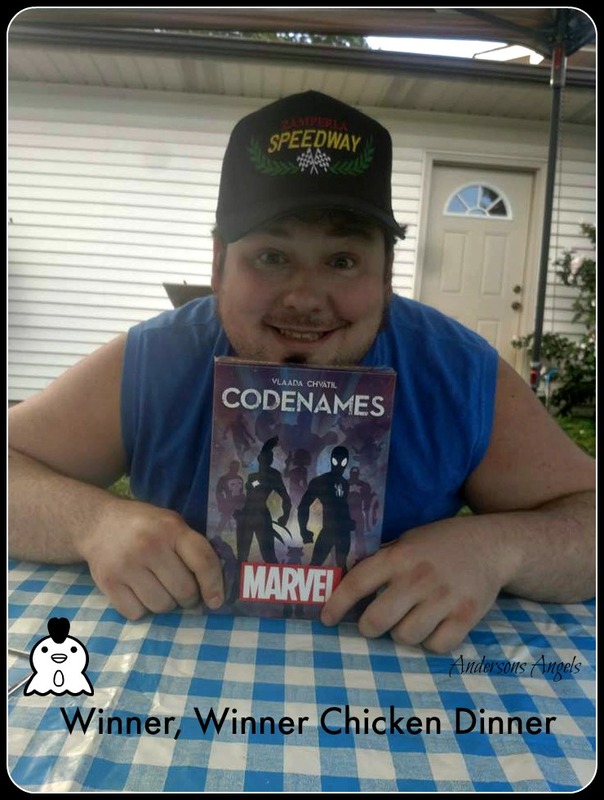 Recently I hosted a USAopoly Marvel Codenames game night and it was a lot of fun! I think it is a must to have adult time and get time to relax and chat. I know as a stay at home mom I do not get much adult interaction on a daily basis. 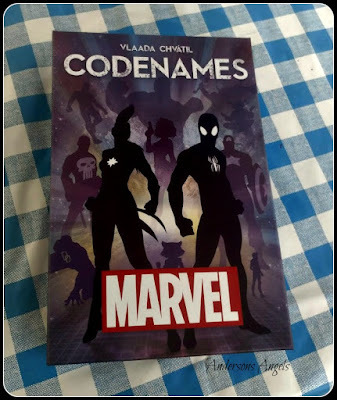 Marvel Codenames is a game that combines the hit social word game with the Marvel Universe characters including Spider Man, Guardians of the Galaxy, The Avengers and Doctor Strange. Two teams. S.H.I.E.L.D. and Hydra, compete to be the first to identify all of their team's 'field agents' from 25 Code cards displayed in a 5x5 grid. This game is a must-have for anyone who loves Marvel! It was a nice evening so we ended up hosting our game night outside. 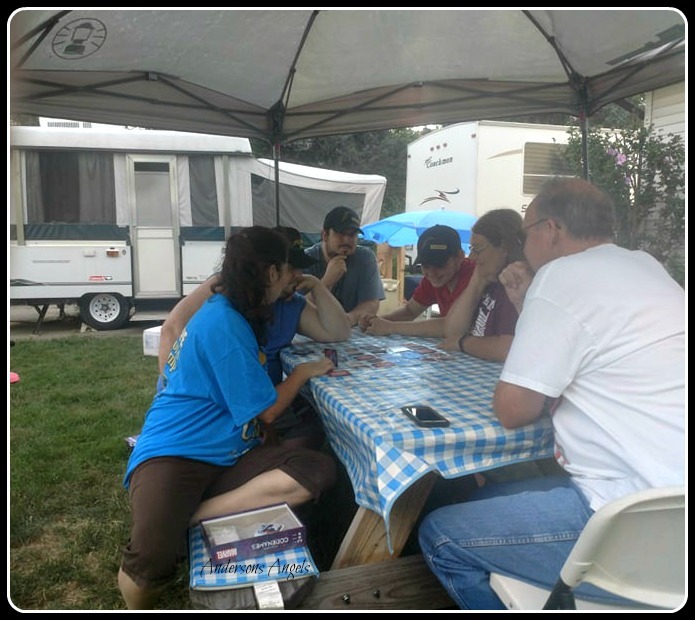 It was a nice evening getting to chat and fellowship while enjoying a new game. This game is going to be a hit for sure this Christmas season so I would recommend getting your copy early! 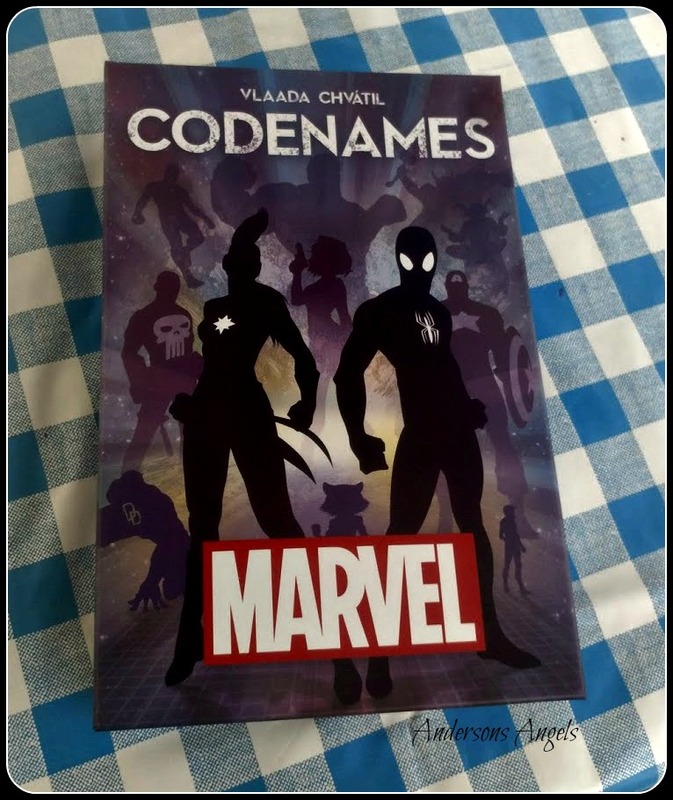 There are currently 2 different Codename games available Marvel and Disney Family Edition. The Winning Team Captain won his own Marvel Codenames to keep at our game night! As you can see he is super excited about his win! !